Time to draw another giveaway, thanks to the generosity of Melbourne Indie Publisher Hybrid. 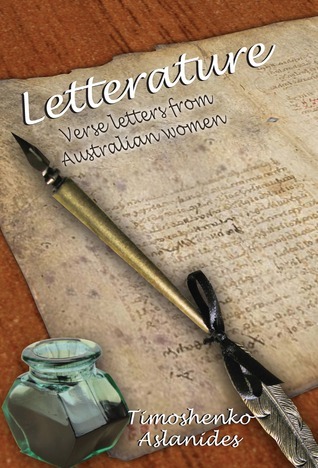 This one is Letterature: Verse letters from Australian women, by Australian poet Timoshenko Aslanides. So Glenice, I thinkHybrid Publishers will still have your address from last time, and they will post the book on to you. Fear not if you didn’t win because I have one more book from Hybrid to give away over this coming month. So make sure you are subscribed to this blog so that you don’t miss out on knowing about it. I’m absolutely delighted, Lisa and can’t wait for my book to arrive. Many thanks. I’m fascinated by epistolary writing and the timing is perfect for me.